Lisa Lynn June 15, 2014 June 15, 2014 14 Comments on The Victory Garden of Tomorrow Review and Giveaway! Victory Garden of Tomorrow flour sack towels! I washed the towels once and the design remain vibrant and the fabric held up perfectly. These towels are sure to last for many laundry cycles. I also like how they look hanging in my kitchen…I almost hate to actually use them! Joe Wirtheim crafts vintage inspired goods in collaboration with friends at his tiny, eco-friendly design studio in Portland, Oregon. His vision of a simple life centered on fresh, homegrown foods from your own backyard or the farmers market provides the subject matter for a whole line of retro posters, flour sack towels, tee shirts, post cards, and badges. Stop by and check out his products. You’re sure to find many items you’d like for yourself or for gifts for friends and family! Disclaimer: I received two flour sack towels to review. I received no other compensation for this review. I’m super jazzed to share two flour sack towels from The Victory Garden of Tomorrow with one of you! 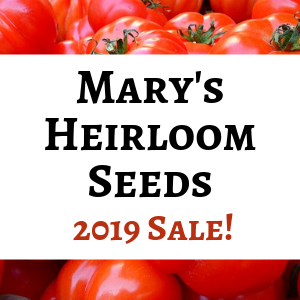 You have several options for entering this contest, but I hope you will take a moment to stop by and like The Victory Garden of Tomorrow’s Facebook page for more info on their products. I love the 2014 HenCam Calendar from The Victory Garden. I love the “Get Real” and “Be Rational” t shirt I’m kind of a Math Nerd. Those Victory Garden posters are cool too. Love the dishtowels and the tshirts are awesome. Thanks for the intro to the site. Glad to share their cool stuff, Pickledpurls! Thank you for the opportunity to win the dishtowels. Also, thanks for introducing me to The Victory Garden of Tomorrow – I’m a new fan. Have a great week! Thanks for checking them out, Vickie! Fond memories! Thanks for stopping by, Jean! Pingback: Super Cute Flour Sack Towel Giveaway!